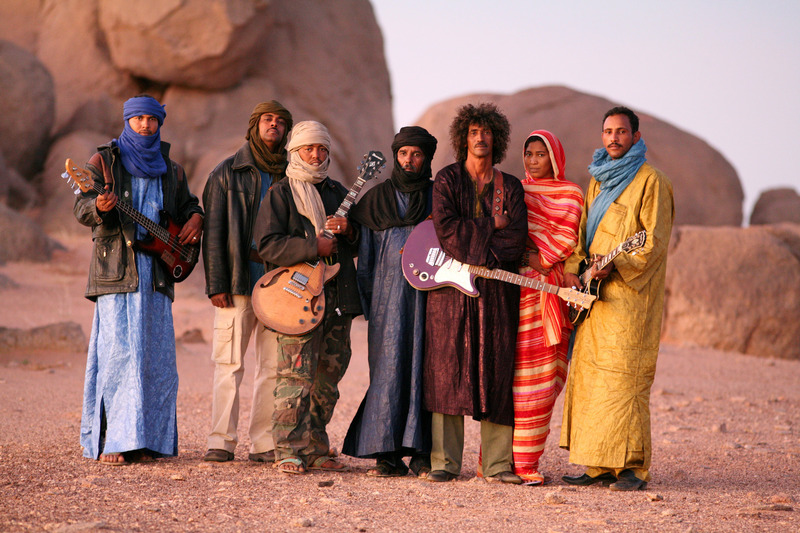 Desert rockers Tinariwen of Mali have been on tour in the US this winter. Jeffrey Callen caught the show—on an off night, it seems—in San Francisco, February 22, 2010. Here’s his review. The photos by Banning Eyre are from Tinariwen’s performance at New York’s Highline Ballroom about a week earlier. It’s easy to review a great performance. The feeling of elation from being taken out of the daily flow of life stimulates the creative centers of the brain and the words flow. Reviewing a bad performance also comes fairly easily. As an exercise in figuring out why the event didn’t work—the music didn’t gel, the crowd didn’t respond—it offers its own kind of satisfaction. But when a show almost works, when nothing is terribly wrong, there is little to say. It just fell flat. The emotional and intellectual drivers to write fail to appear: elation is missing, no intellectual problem to unravel. The performance just fell flat. And that’s what happened when one of the great bands working today, Tinariwen, played the Palace of Fine Arts on Sunday, February 22nd. 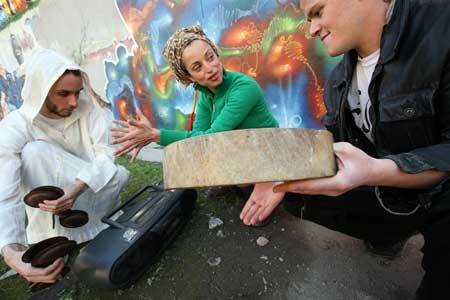 (for more go to Tinariwen in San Francisco). Tinariwen brings rebel music out of the Southern Sahara.